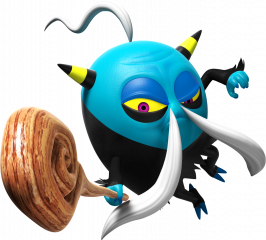 Master Zik (マスタージーク Masutā Jīku) is one of the primary antagonists of Sonic Lost World and a member of the Deadly Six. He is by far the oldest of the Zeti, and is the group's original founder and mentor, having taught Zavok everything he knows and appointing him as leader. He sports a short blue build, yellow horns and long white moustache. 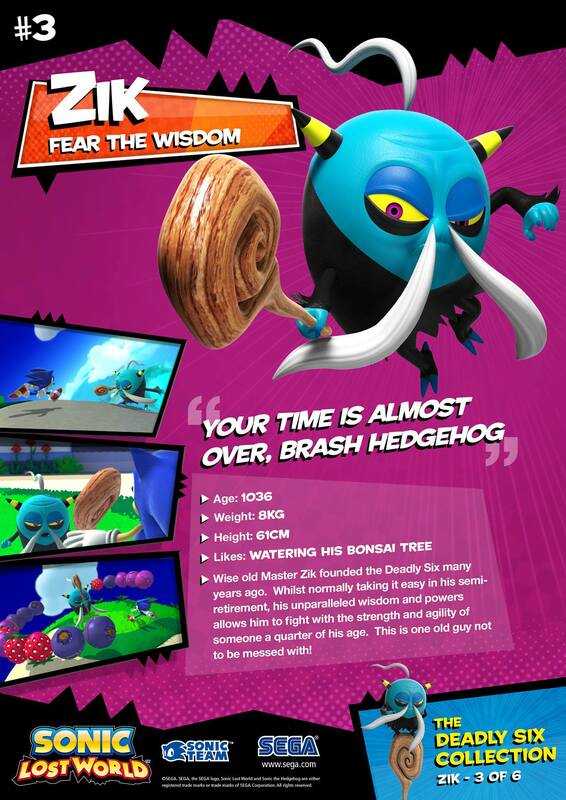 As the oldest member of the Deadly Six, Master Zik is the wisest, serving as a source of wisdom for his student Zavok and the rest of the group. Normally, he takes it easy during his semi-retirement, remaining very calm and in a state of peace most of the time, telling Zavok calmly not to be concerned when he asked Zik not to trouble himself. He is so calm that he never shows any sign of distress or surprise, and taunts and insults seem to have no effect on him. Despite the air of peace around him, he is very firm, and shows no problem in taking matters into his own hands and can be very strict when the situation calls for it. Boasting confidence thanks to his wisdom, he believes that wisdom always triumphs over strength, and looks down on younger, less-traveled people in general, thinking youth is truly wasted on them. It is possible for him to take a liking to those that can impress him in battle. Despite his calmness, he's just as callous as the other Zeti, and takes a leveled joy in the torture of others and even causing global genocide for his own gain. He will also gladly encourage the genocidal actions of his fellow Zeti, praising Zavok for his plan to destroy Sonic's world. With unparalleled wisdom and powers, Zik is a fighting genius, and thanks to his wisdom he has been able to train Zavok into the physical powerhouse he is. Despite his age, he can fight just as well as someone who is only a fraction of his age. He has incredible dexterity as he is shown to be able to balance on his wooden staff and atop fruits perfectly, and appears to be telekinetic, as he can move his staff and fruit with his mind. Like all Zeti, Zik has the ability to manipulate magnetic fields, allowing him to control electronics, which he does to Eggman's Badniks.  Coming out of semi-retirement, Master Zik first engages Sonic at the end of Tropical Coast Zone 2, where he will roll around on a giant apple and attempt to crush the hedgehog. Periodically, he will stop rolling on the apple and launch numerous spike balls in different directions. 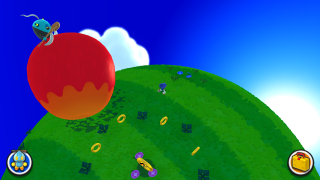 As long as Zik stands atop the apple, he cannot be reached by any of Sonic's attacks, so the player must lure Zik to a juicer somewhere on the planetoid. Once the apple is gone, the player must jump into the juice geyser and chase Zik to the next planetoid, where he will then run around and shoot energy orbs at Sonic. The player must then avoid his attacks and hit him enough times to clear the Zone. This battle is repeated in Nightmare Zone, with Zik's apple being replaced by the second-level Nightmaren Gulpo. To defeat him, Sonic simply has to lure him into a portal located somewhere on the planetoid. Master Zik is fought again at the end of Tropical Coast Zone 4. This time, he will telekinetically surround himself in a spinning ring of fruit that can be targeted by the Homing Attack. The best way to attack Zik is to lock onto numerous fruit and onto Zik as well. Once he's taken enough damage, he'll retreat to another planetoid, and the player must chase after him using the Orange Rocket Color Power. On the next planetoid, he will summon two rings of fruit to make things harder for the player. After attacking him enough, he'll retreat to a third planetoid where he will run away and shoot energy orbs at Sonic again. From there on, just keep whaling on him until the battle ends. 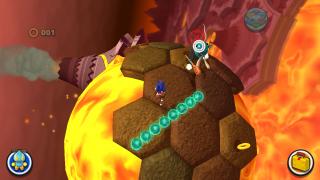 Master Zik shows up after Zazz and Zomom in Lava Mountain Zone 1 to get his revenge on Sonic. Upon landing on the planetoid via a volcanic rock, the elderly Zeti will employ the same strategy of his previous fights, which involves running away from Sonic and attacking with a barrage of energy orbs. When hit enough times, Zik will become more aggressive. Keep hitting him, and he will go down and disappear in a puff of smoke. 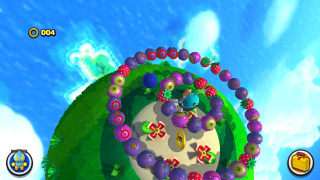 In the 3DS version, Master Zik is encountered at the end of Tropical Coast where he will surround himself in a force field made of fruit to protect himself. He will then attack the player by shooting electrified fruit after them. 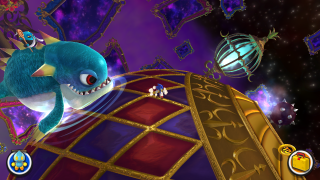 However, the fruit is only electrified on one side, allowing the player to jump over it and send it back after him with a Homing Attack, making a gap in his force field. The player must be quick to strike him, as he will then follow after the player and run them over with his force field. After taking enough damage, Zik will summon a giant spiked lychee nut after the player, which must be destroyed by attacking the side without spikes, releasing a Yellow Wisp. The player can then attack Zik with Yellow Drill for critical damage. This battle is repeated in Lava Mountain Zone 3, preceding the battle with Zavok. In this rematch, Zik has more health and his attacks are harder to avoid. Master Zik appeared during the storyline of the "Zazz Raid" event in Sonic Runners, where he teaches Zazz how to power himself up even more through meditation, which doesn't work, and only makes Zazz frustrated to the point in which he absorbs the force of the Power Rings through his fists.